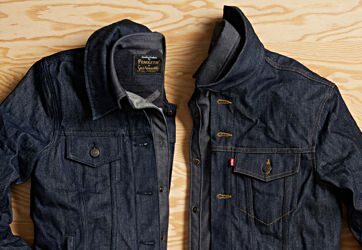 Pendleton Is Fortifying Your Levi's for Fall | Valet. 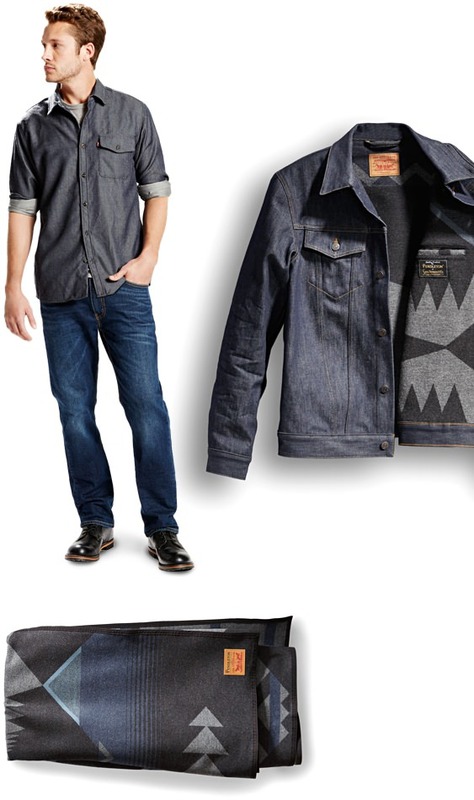 When it comes to classic American brands, Pendleton Woolen Mills and Levi's have a lot in common. They were both founded well over a century ago (within just ten years of one another actually). They both focus on well-made, hard-wearing items that were made to take daily use and abuse. And they both have survived because they've stayed true to their ethos and continued making quality pieces that never really go out of style. So it makes sense that the two have teamed up again for a capsule collection of winter staples with an exclusive print inspired by Native American designs. The indigo-dyed plain weave wool will get softer with each wear and makes a great shirt jacket. The mid-weight jacket gets a boost of warmth from a wool blanket lining. A queen-sized blanket with a Native American print that's been scaled up for a modern take on a classic style. The world famous jeans ... but not as you know them. The iconic brand's coolest collaborations.